Our bedtime routine is quite predictable and they know what to expect. Once the two Littles have their pj's on, they are allowed to watch a show on Netflix for 20 minutes with all six of us cuddling on the couch. I know some people might not recommend TV before bedtime but I feel so connected to our kids when we are all bundled up together. And, don't worry fellow book lovers, everyone gets a book (or four) read to them before going to sleep! 1. 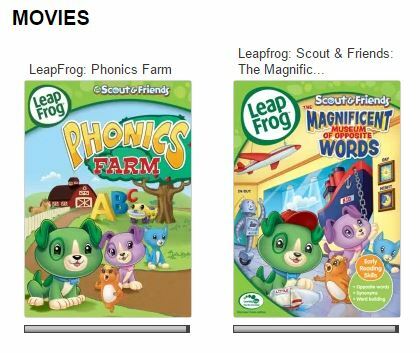 A LeapFrog movie. As much as I'd like to think that I taught the Littles their letters, it wasn't me. 2. Signing Time. I had no idea that this existed on Netflix until a few weeks ago but it's very cool! We have a little friend who is deaf and this has helped us all to learn some very useful signs. If you've ever watched it, the introduction song is always in my head. When we saw our friend this week, Koen eagerly practiced what he learned but accidentally signed "poop" instead of "milk"--they are not similar at all. 3. Peppa Pig. Oh boy. This is why Koen often speaks with an English accent and calls me Mommy Pig. 4. Pokemon: Black & White. 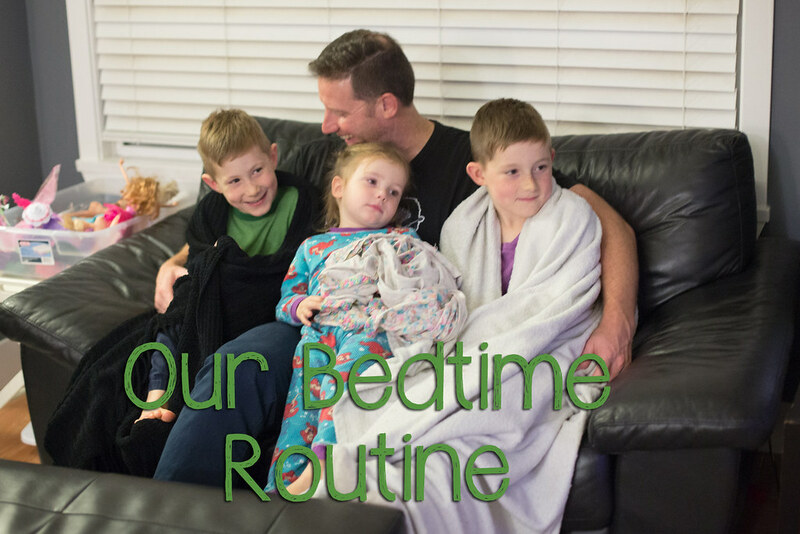 So, if you're every wondering what's going on in the Chapman household from 6:30-7:30 pm, this is it--everyone in bed by 8 pm! Is your household similar?